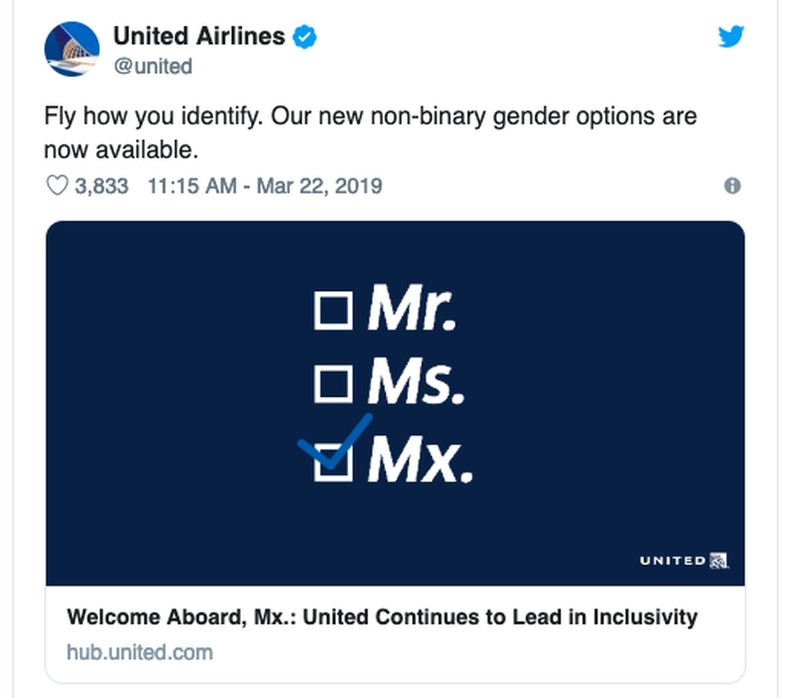 United Airlines has become the first U.S. airline to offer non-binary gender options throughout all booking channels. United Airlines has become the first US airline to offer non-binary gender options throughout all booking channels. 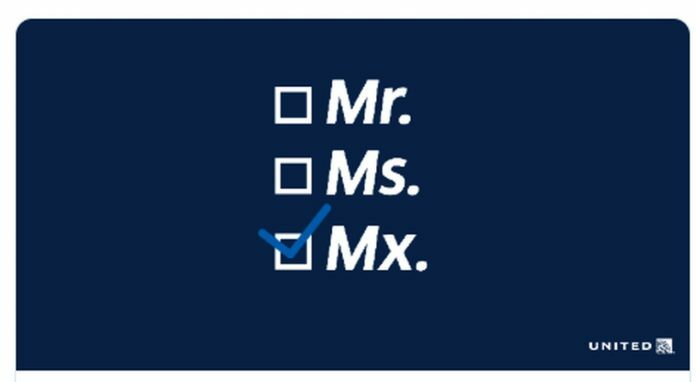 There is also an option to select the title “Mx.” during booking and in a MileagePlus customer profile. “United is determined to lead the industry in LGBT inclusivity, and we are so proud to be the first U.S. airline to offer these inclusive booking options for our customers. United has worked with the Human Rights Campaign and The Trevor Project on employee training initiatives. “At the Human Rights Campaign, we believe being acknowledged as the gender you identify with is part of treating everyone with dignity and respect. The changes to the booking process are now currently available.